Each year the 12 Hours of Sebring is a great opportunity to see sports car racing’s best battle it out through the elements for the win. But this year would bring something even more special. The FIA World Endurance Championship’s 1000 Miles of Sebring would run the day before Sebring 12. Bruno Senna of TVR Rebellion Racing gives a thumbs up as the grid closes just before the start of the 1000 Miles of Sebring. 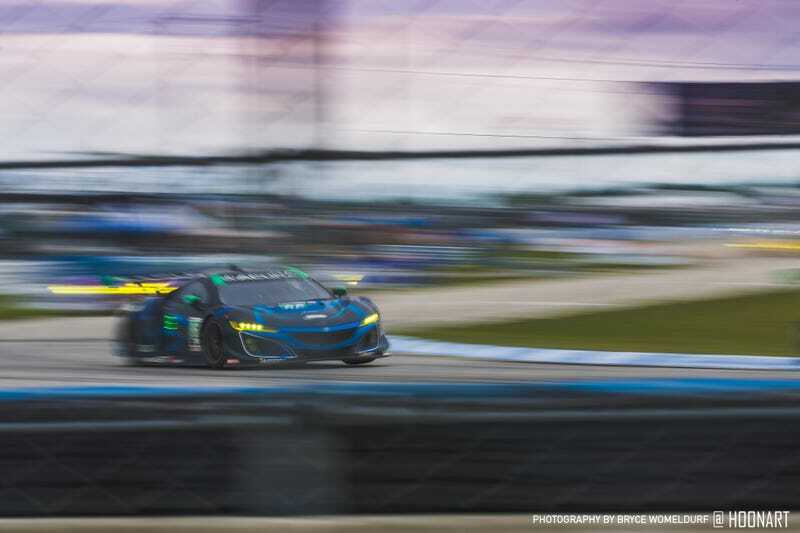 The 2019 12 Hours of Sebring was off to a wet start. Audi and the No. 912 Porsche flying down the main straight. All photos shot on Nikon D750 with a Sigma 150-600mm f/5-6.3 OS HSM Sports Lens and Tamron 24-70mm f/2.8.